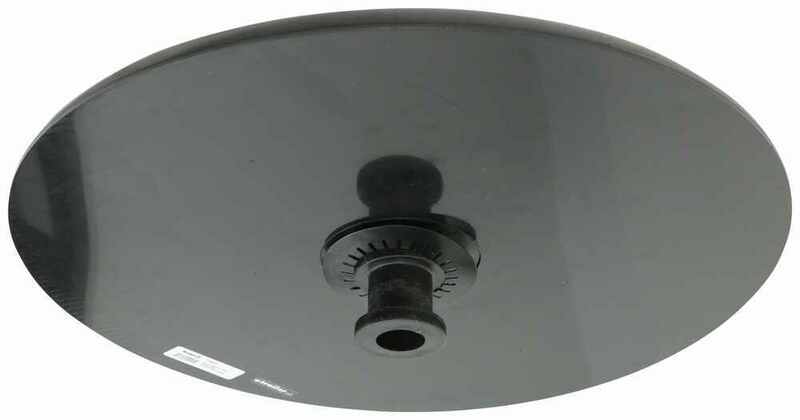 Call 800-298-8924 to order Buyers Products accessories and parts part number 337FWD24 or order online at etrailer.com. Free expert support on all Buyers Products products. 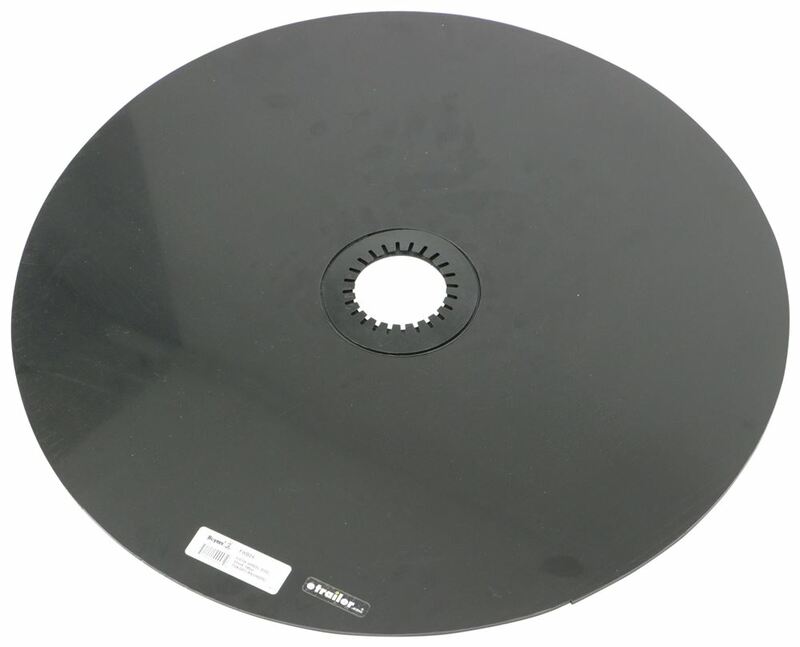 Guaranteed Lowest Price and Fastest Shipping for Buyers Products 24" Fifth Wheel Lube Disks with Steel Retention Clip. Accessories and Parts reviews from real customers. 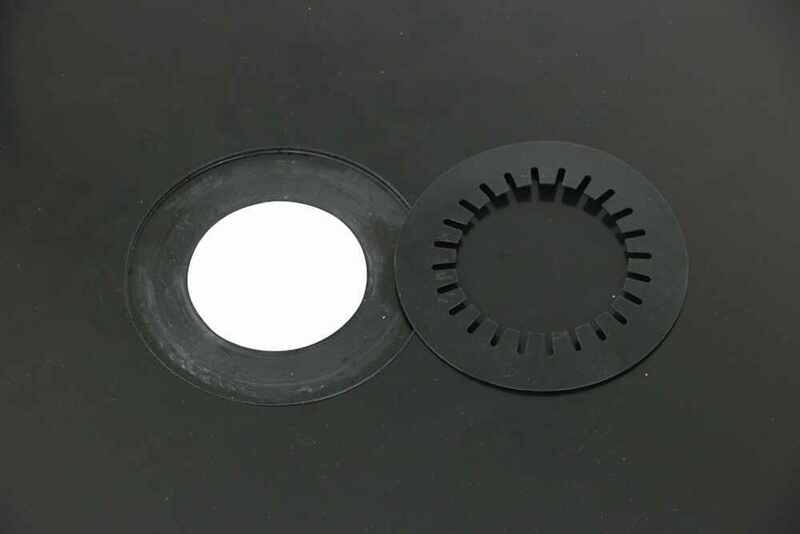 The Fifth Wheel Lube Disks with Retention Clip from Buyers Products work to protect your trailer against wear caused by friction between the hitch and trailer. 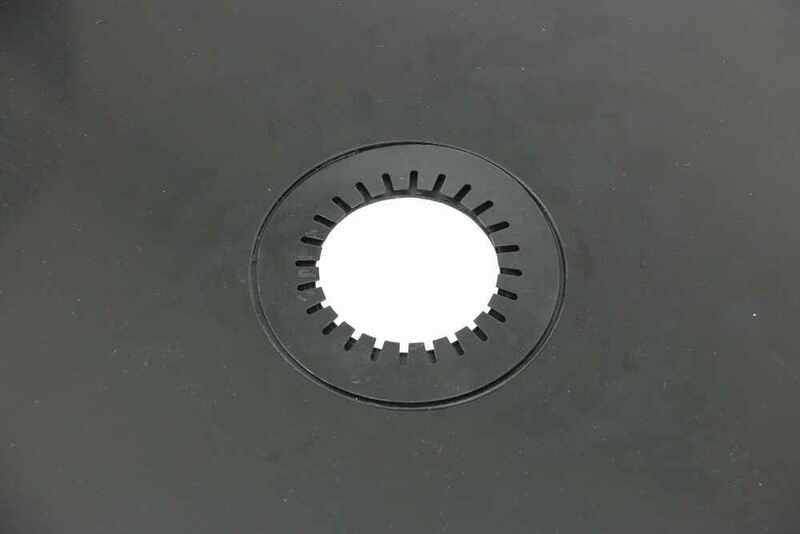 The disk slips over the king pin to provide constant lubrication, eliminating the need for fifth wheel plate grease and the constant cleaning and mess that goes along with it. Its large surface area provides extra towing protection by preventing wear to the hitch. 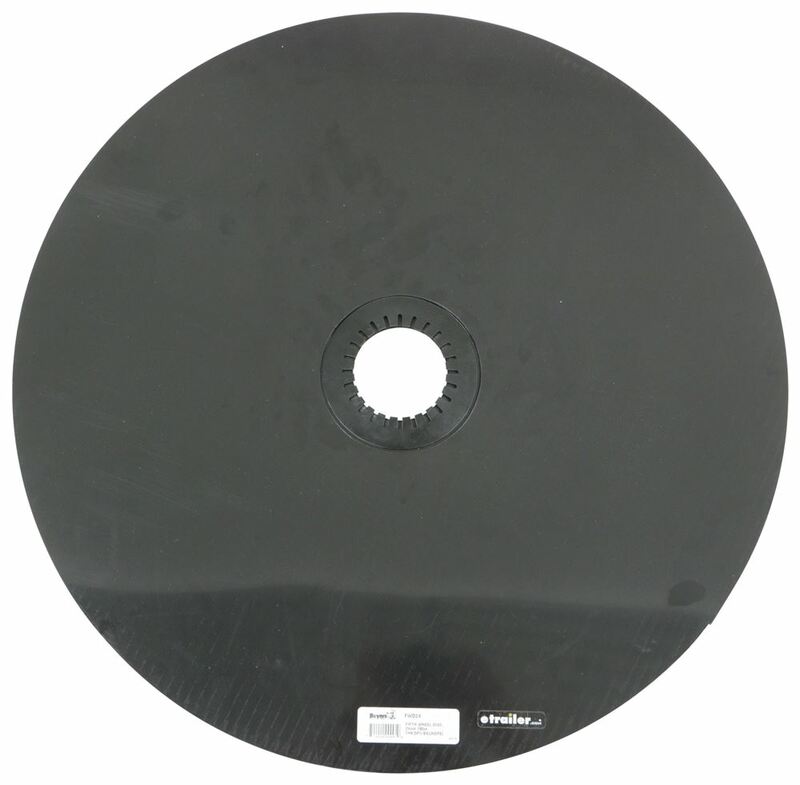 The 24" disk is 3/16" thick and includes steel retention clip. Speaker 1: Today we're gonna take a look at the 24 inch Fifth-wheel Lube Disc with the steel retention clip. Now this Fifth-wheel Lube Disc works to protect your trailer against wear caused by friction between your hitch and your trailer. 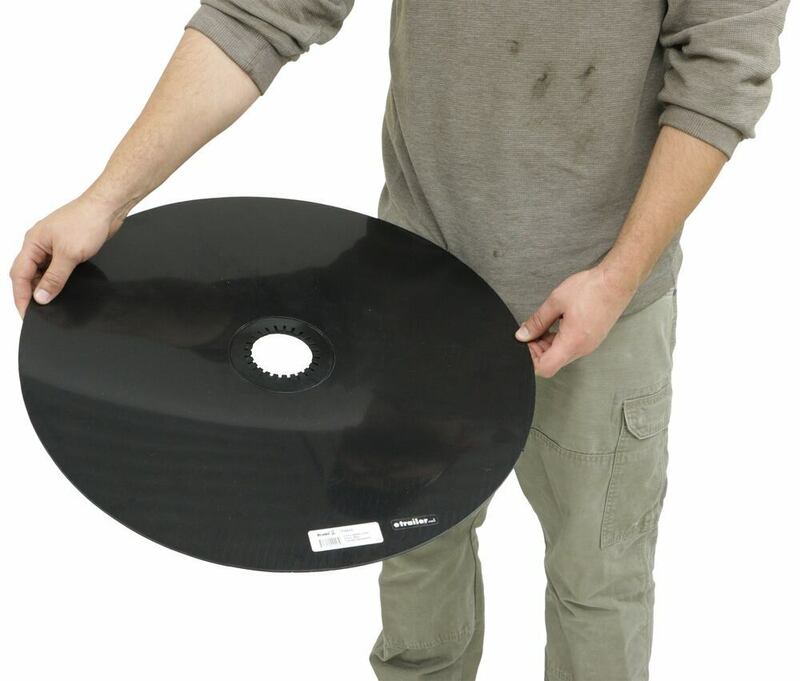 This disc will slip over the kingpin to provide constant lubrication eliminating the need for a fifth-wheel plate grease and the constant cleaning and mess that goes with it. It's a very large surface area. It provides extra towing protection by preventing wear to the hitch. It is a 24 inch diameter disc, edge to edge here. Let me put a tape measure on it, there's your 24 inch diameter. 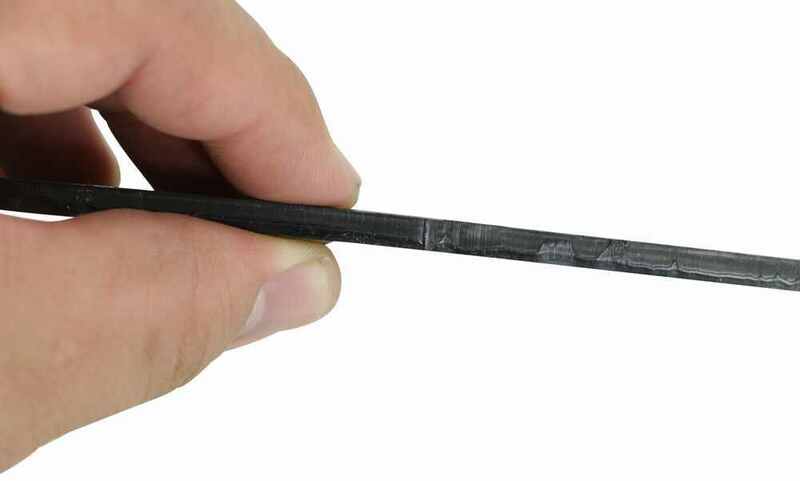 It is three sixteenths of an inch thick, and it does include this steel retention clip to keep it installed to your kingpin. It is made from a durable poly material to reduce wear, and it does increase the protection of your towing parts with it's permanently lubricated surface. That should do it for the review on the 24 inch Fifth-wheel Lube Disc with the steel retention clip.